The concept of Abby’s House began with an invitation to Annette Rafferty from the Worcester Urban Ministry Commission. It was early 1973 and pastors, rabbis, and ministers were overwhelmed with requests to house the “new homeless” – women and children. At the time, there were only three shelter beds for women in Worcester. As chair of the Task Force, Annette was charged with exploring the need and finding a solution. She collected stories and statistics from homeless women in Worcester, and as a result of their research, Annette and the Task Force recommended opening a shelter. However, the recommendation was voted down by the Commission, and Annette resigned. She knew that if no one was going to take action now for these women, it was not going to get done. Annette would later recall the moment she resigned from the Commission. Some members reminded Annette that she had neither the skills nor the training to work with the homeless, let alone establish a shelter. In the months that followed, a collective of women and men held meetings, sent letters, fundraised, generated publicity and searched for a property to house the shelter. By the time we opened, hundreds of people had committed themselves to the project. A strong tradition of volunteerism and community support had begun. After opening our doors, more and more women were arriving on our doorstep. We realized that to be a part of the solution to homelessness, we had to offer housing. Once again, the community came to our aid and we were able to open 3 more houses, providing 77 units of affordable supportive housing. Unfortunately, the need for a safe place to stay is even greater today, but we’re here to help. Through our shelter and housing programs, and with the support of our advocacy team, who work one-on-one with each woman who comes through our doors, we’re helping women reclaim and rebuild their lives. A collective of concerned citizens forms and takes up the task of creating a safe place for women and their children. 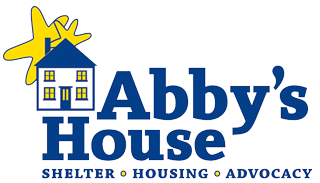 A 9 bed overnight shelter is opened at 23 Crown Street and is named Abby’s House after Abby Kelley Foster, Worcester’s most famous abolitionist and women’s rights activist. Abby’s House is formed! What is now known as the Women’s Center is formed. 16 units of affordable housing are opened after the purchase and rehabilitation of the 19 Crown Street building. 7 two-bedroom apartments open after the purchase and rehabilitation of the 77 Chatham Street building. After opening their doors to low-income women for over a century, The Sisters of Mercy, hand us the keys for their 54 unit building on 52 High Street, keeping their mission alive. Renovation to enhance critical systems, efficiencies, and accessibility of 52 High Street begin.